Premier Li said China is willing to align its development strategy with the Philippines and enhance cooperation in various fields. Premier Li met with his Australian counterpart, Malcolm Turnbull, and with European Council President Donald Tusk in Manila. Premier Li said that China is willing to join regional countries in writing a new chapter in East Asia cooperation. Premier Li urged advancing the construction of an East Asia Economic Community (EAEC) to promote regional integration. Premier Li Keqiang called for speeding up negotiations of China-Japan-ROK free trade agreement (FTA) on Nov 14. Given the joint efforts of China and ASEAN to expand their consensus and manage differences, Premier Li will feel greater ease at this year’s East Asia summits. 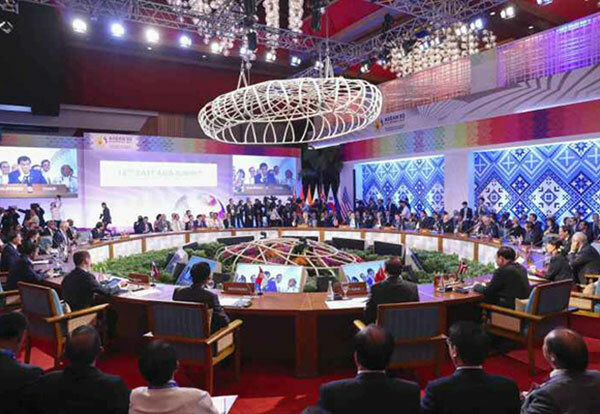 China and the ASEAN are among today’s most important partners, ASEAN Secretary-General Le Luong Minh said ahead of the 31st ASEAN Summit and related meetings. 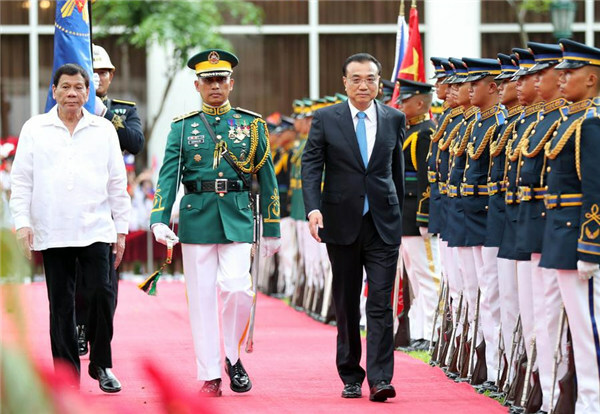 Premier Li Keqiang will visit the Philippines and attend the 20th China-ASEAN (10+1) leaders’ meeting and the 20th ASEAN-China, Japan and Republic of Korea (10+3) leaders’ meeting on Nov 12-16 in Manila.